A sign of the times. There are two extremes of emotion driving my holiday reads this year. As a baby boomer, I like to brush the fur in the opposite direction on present-day issues while I bask in traditions from the past. Our ability to flex and bend, as well as be stalwart and righteous, are qualities unique to our generation. We’re sandwiched between the WWII work ethic of our parents and the go-go-go world of Millennials seeking to replace us. But the good news is that we boomers know how to shut down the computers, tablets, and cell phones to enjoy a good book. So there are two books on my reading list for the holiday break. I want to immerse myself in poignant prose while I face the reality of today’s scary world. 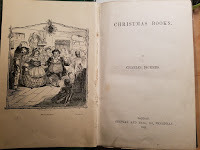 The first pick is an annual tradition: my 1866 antique edition of Christmas Books by Charles Dickens, complete with tiny print and misplaced hyphens. Its Old-World aged paper crinkles with a turn of every fragile, double-columned page. The aroma of aged wood pulp draws me like treasures stacked in the back room of a used book shop. I can practically hear the delicate bell on the door as I reach for this book on the shelf. 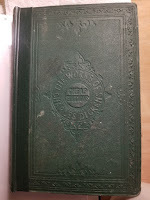 This book contains five stories: A Christmas Carol, The Chimes, The Cricket on the Hearth, The Battle of Life, and The Haunted Man. Several ghosts, a goblin, a fairy tale, and a love story. By today’s standards, the lengthy descriptions of detail are overdone, the paragraphs too long, and the text minuscule. But this kind of prose reminds me to slow down to appreciate every colorful word. Too often in a book, I race through the color to get to the point. All five of these novellas carry a theme of redemption. The reconciliation of one’s inner soul must have been a conflict for Dickens himself, and everyone in merry ole’ England, because the stories struck a chord with the public. Guilt is one powerful, crippling emotion. I love to read these stories, though, as a thermometer for how well I’m doing in that department. I help others . . . check. I’m never mean-spirited . . . check. I’m charitable . . . check. I love and respect my husband . . . check. Dickens was a master craftsman of emotion. What I love most is that he awarded each character—even the minor ones—with the perfect name to define their personality. 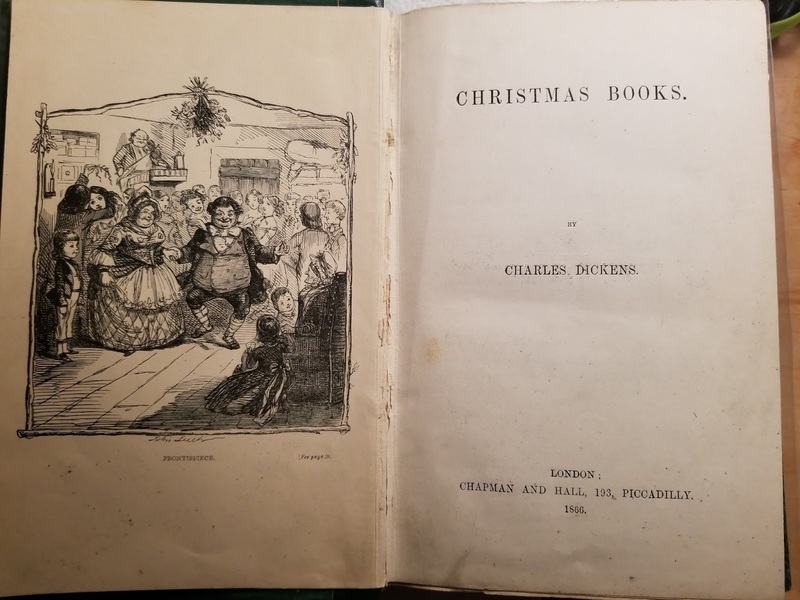 The stories are punctuated with names like Ebenezer Scrooge, the miser of A Christmas Carol, and John Peerybingle, a slow, lumbering, but honest man from The Cricket and the Hearth. Then there’s Dr. Jeddler, the elderly philosopher who looks at the world as one enormous practical joke in The Battle of Life. And finally, The Haunted Man describes an eerily gloomy vision of Mr. Redlaw, a chemist surrounded by his drugs, instruments, and books. These stories are still fresh. They’re still relevant. People will never change their nature, no matter what the era. From the nature of the heart comes the primal need to survive. 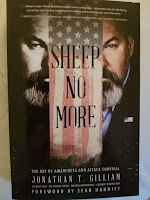 My second holiday book is titled Sheep No More by Jonathan Gilliam. 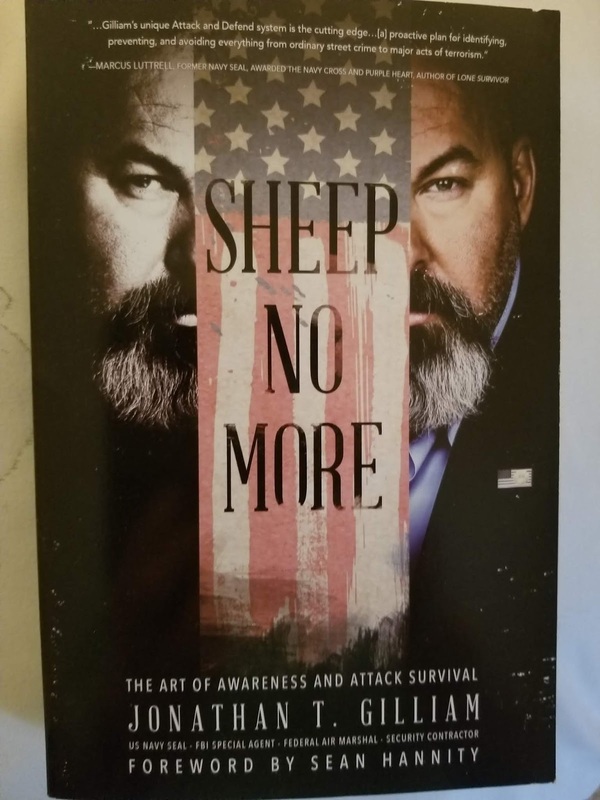 This is a hard-hitting book about attack survival. I’m not one to spout about politics or my personal beliefs, but I do feel increasingly unsafe. Don’t get me started on that . . . but I knew I couldn’t turn my back on a world that wants to strip me of freedom and liberty, and then ask me to pay for someone else to have it. The wake-up calls have been constant on multiple levels: on the ground, in the air, and through my computer. What I look forward to embracing in this book is the power of one. My husband and I want to control our own destiny. We don’t want to wring our hands and whine that the government isn’t taking care of us in an emergency. There are things we can do as individuals to keep ourselves and family members safe. The first, and most important, asset is heightened awareness. I want to educate myself, and then tuck the information in my hair like bobby pins. I have to think of this next level of survival skill as when I learned to backpack in the mountains or hunt to fill the freezer. I don’t need to use these resources every day, but they’re there should I need them. The last holiday read is my own book, delivered just under the wire. Indigo Legacy is now available after over two years of work to polish just the right ending to The Dushane Sisters Trilogy. Talk about making a book personal! Geez! Of course, I’ve read it so many times now that I must leave it in the hands of my readers. It still makes me laugh out loud and reduces me to tears. 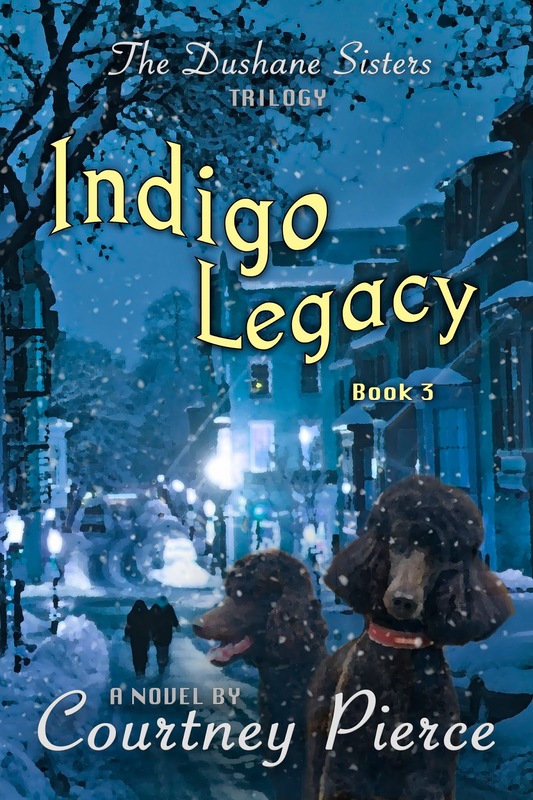 The story takes place during the holidays, so Indigo Legacy is a legal holiday read. And like Dickens, it's filled with betrayal, guilt, loss, gain, love, and best of all . . . redemption. Happy and safe holidays to you all! 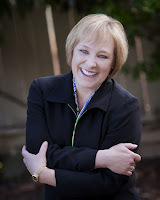 Courtney Pierce is a fiction writer living in Milwaukie, Oregon, with her husband. stepdaughter, and their brainiac cat, Princeton. Courtney writes for the baby boomer audience. By day, she is an executive in the entertainment industry and uses her time in a theater seat to create stories that are filled with heart, humor and mystery. She has studied craft and storytelling at the Attic Institute and has completed the Hawthorne Fellows Program for writing and publishing. Active in the writing community, Courtney is a board member of the Northwest Independent Writers Association and on the Advisory Council of the Independent Publishing Resource Center. She is a member of Willamette Writers, Pacific Northwest Writers Association, and She Writes. The Executrix received the Library Journal Self-E recommendation seal. Print and E-books are available through most major online retailers, including Amazon.com. The Dushane Sisters Trilogy concludes with Indigo Legacy, available now. There's love in the air for Olivia and Woody, but will family intrigue get in the way? 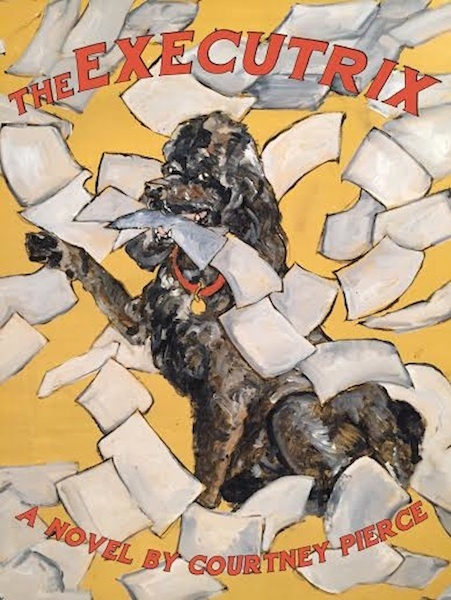 Ride along for the wild trip that starts in a New York auction house and peaks in a mansion on Boston's Beacon Hill. The Dushane sisters finally get to the truth about their mother. New York Times best-selling author Karen Karbo says, "Courtney Pierce spins a madcap tale of family grudges, sisterly love, unexpected romance, mysterious mobsters and dog love. 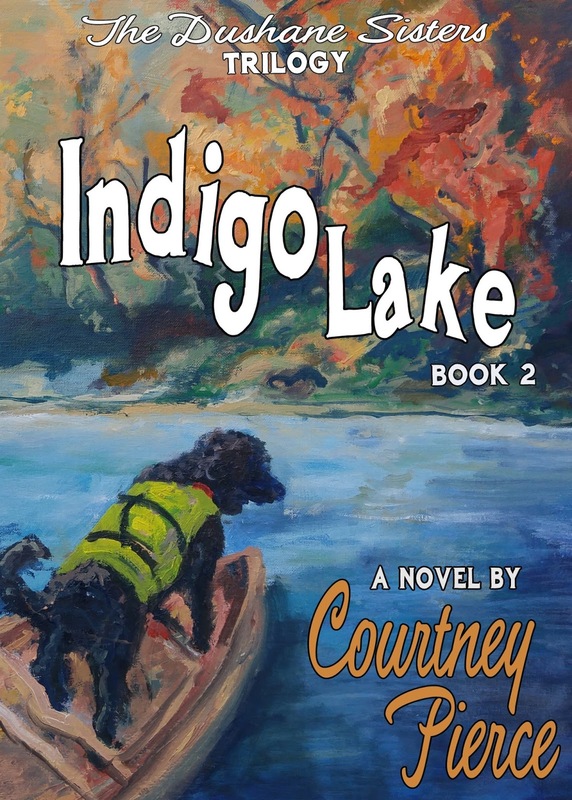 Reading Indigo Lake is like drinking champagne with a chaser of Mountain Dew. Pure Delight." Enjoyed your post, Courtney. I love Dickens! I'm looking forward to reading Indigo Legacy. Courtney, great blending of the old (Dickens) and new (Jonathan Gilliam) and, last but not least (Pierce)! I do agree that being aware of the changing world around us is imperative. I may not choose to learn to back pack in the mountains or hunt to fill my freezer, but I do have other survival skills to draw upon if it comes to that. I love this beginning of your post: "I like to brush the fur in the opposite direction on present-day issues while I bask in traditions from the past." That is such a beautiful description of where a lot of baby boomers find themselves. I also hear you on not feeling safe. I've been thinking about that a lot lately. With every mean spirited encounter portrayed on the news, to increased disregard for both property and human life, I find myself scared to even walk in my own neighborhood anymore. I've been trying to break it down to discover the source of this: getting older and not feeling quite as adept at protecting myself? the impact of social media or news media on my feeling of well-being? or is it really true? should I be afraid. 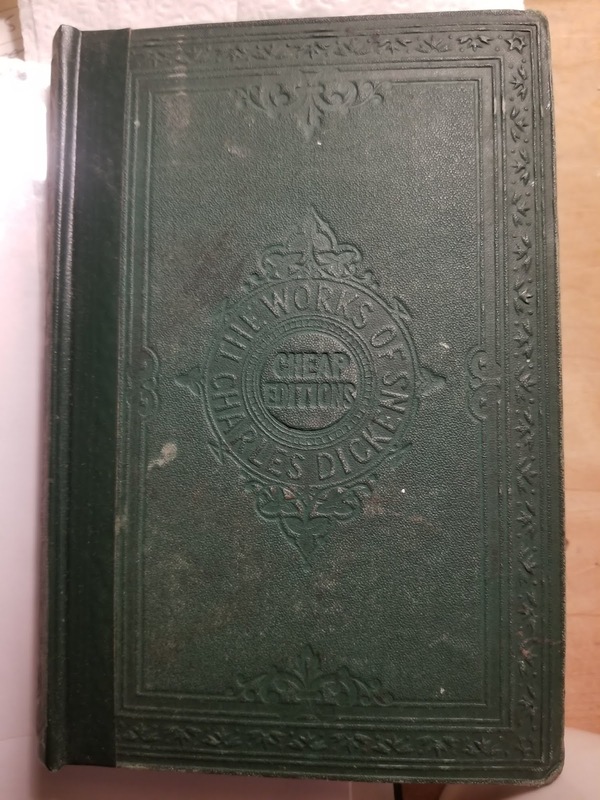 I am envious of your Dickens book. I can see how even looking at it before you take it down is a journey itself. What a blessing for you. AND what a blessing for all of us that the Dushane sisters trilogy is finished. I'm downloading Indigo Legacy and it's on my TBR pile for a nice day tucked into my reading chair where I can indulge in a book for the entire day. Thank you all. Some days I prefer my head firmly buried in the sand to shed the stress of media. Other days, I shake my head and get incensed at how disrespectful we as so-called "educated" people can behave toward one another. The latest bump on the radio nearly made me pull over from the road. People are actually stealing American flags from homes. Really? Isn't that a bit of a contradiction if they want a flag so badly? If the act is intended to be a middle finger to our great country, then they should live somewhere else. Geez! Finishing the Dushane Sisters Trilogy is bittersweet for me. I loved writing it so much and was teary about leaving the sisters behind. But the best time to end a series is when I want to write more, not be done-done and sick to death of it. Readers can tell when an author is over it or are so committed to their story that they embrace the last word. I'd rather be the latter type of writer. Sorry for this late response, but I'm meeting the chores of a launch while I've started a new outline for a completely new book that I intend to be a standalone. As luck would have it, it's set in Montana. We'll be at our Montana house for the holidays - I in my warm cap with my laptop and thick socks. No rest for the weary writer. But that's what the 4:30 a.m. witching hour is for with hot tea :-) The house will be quiet, the family sound asleep, and the only creatures stirring will be the wildlife tiptoeing past the window in the fresh-fallen snow. Oh...and our house in Montana happens to have a cement bunker. Ha Ha! I'll be safe if something happens, or at least be able to access that special bottle of wine.